Garden Day Dress https://www.review-australia.com/global/garden-day-dress-champagne/RE19DR387.REYEL051.html Slip into a floral state of mind and bring a unique look to your next event in the Garden Day Dress. This luxurious dress has a pleat skirt, cowl neckline, sleeveless bodice and a delicate vintage floral print throughout. Slip into a floral state of mind and bring a unique look to your next event in the Garden Day Dress. 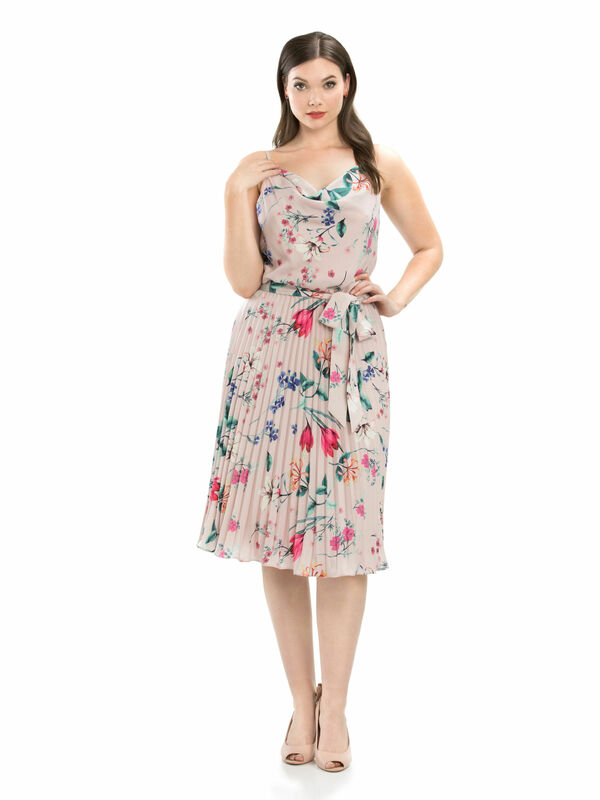 This luxurious dress has a pleat skirt, cowl neckline, sleeveless bodice and a delicate vintage floral print throughout.